Like the spooky forrest dress, this dress is made from a silky fabric. 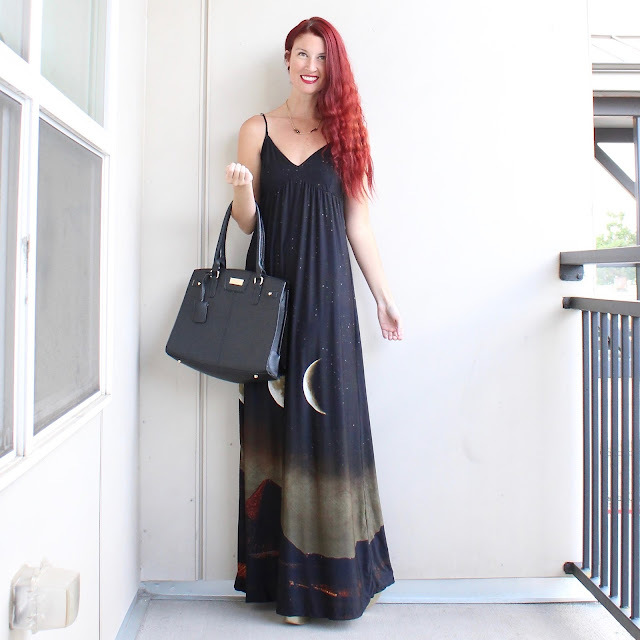 Most Folter (and Retrolicious) dresses are cotton, but it seems that they make exceptions for their maxi dresses. Given how comfortable and smooth to the touch these are, I have zero complaints! I've never seen a dress like this in that few maxi dresses have border prints like this. Additionally, this is an off the beaten path "spooky" print. Most gothic/creepy/etc prints involve skulls, something to do with the occult, and other Halloween-esq motifs. Pyramids and moons are super original! 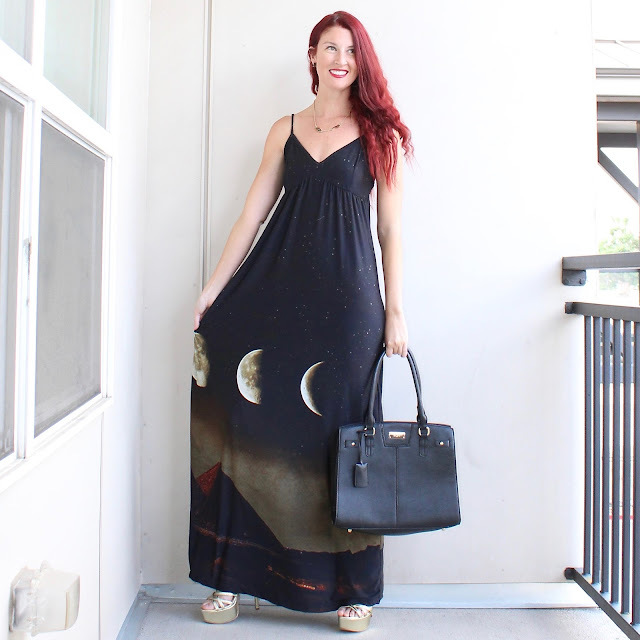 Plus the print is gently kissed by stars throughout the entire dress. The fit is a tad interesting, however. While it fits my body perfectly (size small for measure), I'm nearly 5'7" and without heels I look like a little girl playing dress up in her mommy's clothes because this dress is SUPER long! The dress does have adjustable straps, so maybe if I play with them more I can fix the length a little. But short girls: do not get unless you're committed to wearing heels with this dress! Otherwise, this is a perfect dress! Rounding out the outfit I have Kate Spade jewelry accessories (mostly from Poshmark), a BCBG bag, and Jessica Simpson platform sandals from DSW. 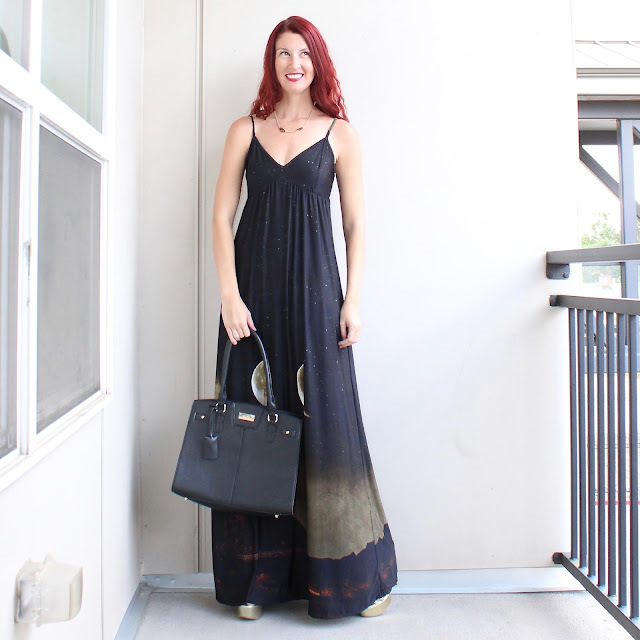 I wanted to keep the look simple and yet glamorous, and not go too eccentric or quirky since the dress stands alone. 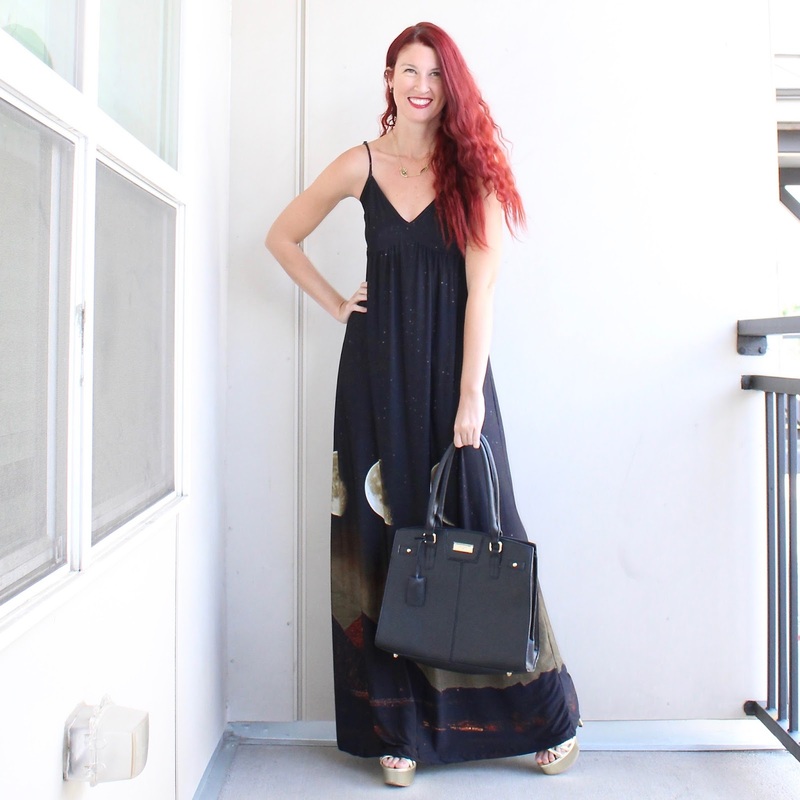 Have you tried Folter's maxi dresses yet?? 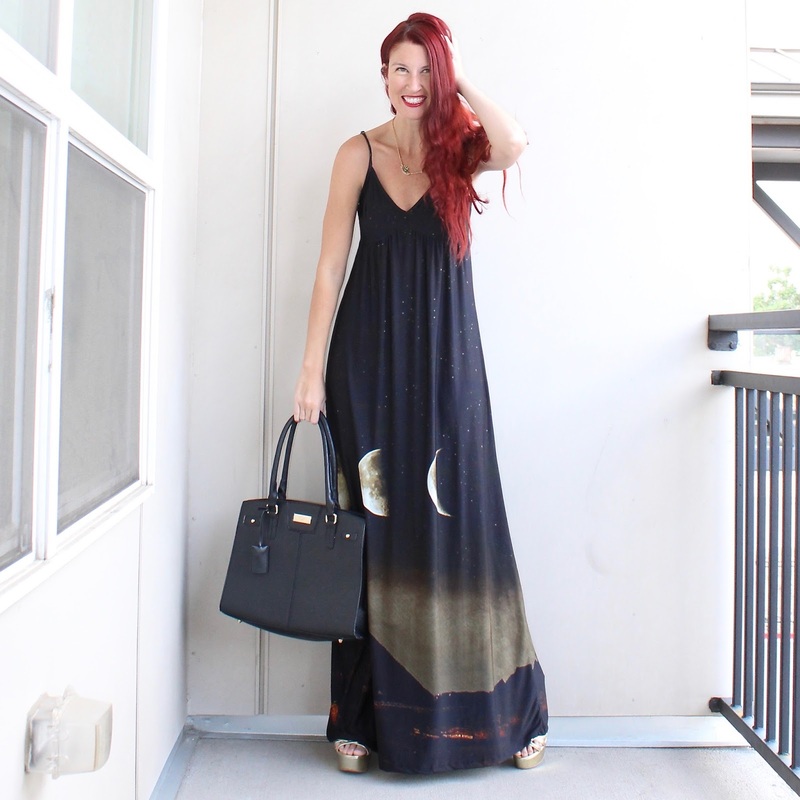 This maxi dress is so beautiful. I love it!